Sony plans to make a single movie out of emoji—but what if studios just remade every movie using the icons? 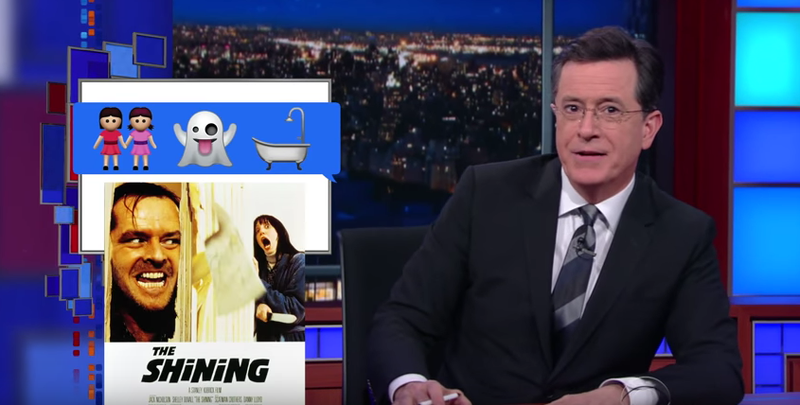 On last night’s Late Show, Stephen Colbert rattled through some possible rewrites for the modern emoticon age. Perfect: We probably don’t even need to bother going to the movies anymore.